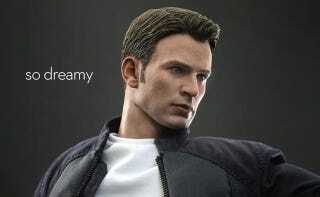 There's a new Captain America movie, so there are new Hot Toys figures based on that movie. And true to the company's past exploits, they're amazing. There are two figures, one of Cap in his "Stealth S.T.R.I.K.E. Suit", the other as plain ol' Steve Rogers.